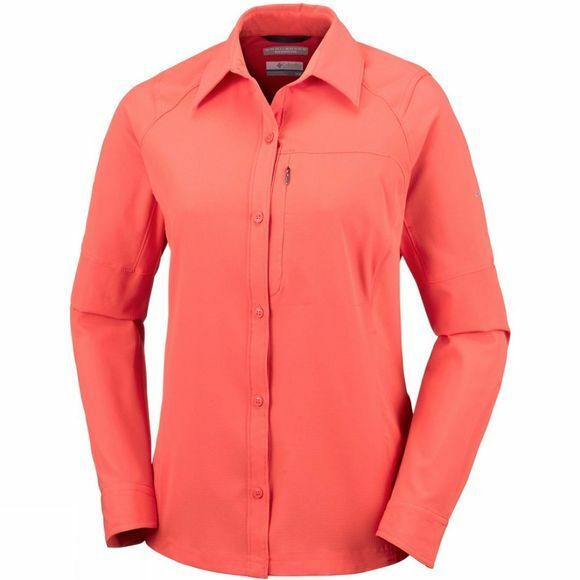 The Women's Silver Ridge Long Sleeve Shirt Plus from Columbia is an excellent shirt for a huge range of activities. The Omni-Wick technology pulls excess moisture away from your body whilst still allowing it to evaporate quickly. 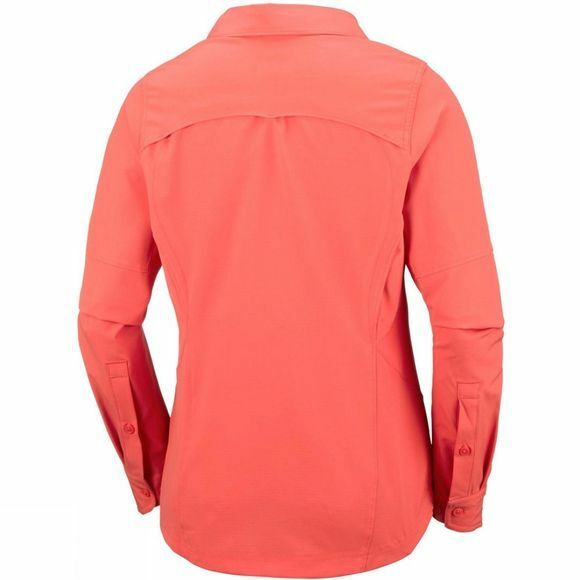 The Omni-Shade technology provides UPF 40 sun protection to ensure the harmful rays don't penetrate through and harm your skin, there is also an extension on the collar to give added protection from the shirt higher up the back of your neck and the cuffs are slightly longer at the back of your hand for the same purpose. A discreet zipped pocket on the front of the chest is ideal when travelling and roll-up cuffs are secured with a button for excellent versatility.